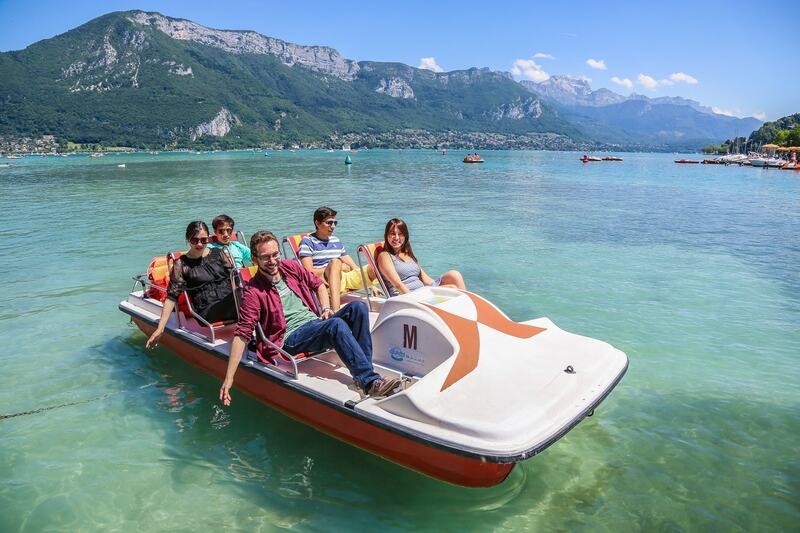 In a unique natural setting between lake and mountain, Annecy offers many opportunities for sports and leisure activities throughout the year. In winter, skiing (alpine and cross country), snowshoeing and sledding are easily accessible by public transport. In summer, a large choice of water sports (windsurfing, wakeboarding, canyoning, kayaking, diving …), mountain (hiking, climbing, via ferrata, mountain biking …) and cycling is can be done. It is also a region renowned for paragliding, this activity attracts fans from around the world every year. Ifalpes offer each month different sports and leisure activities. 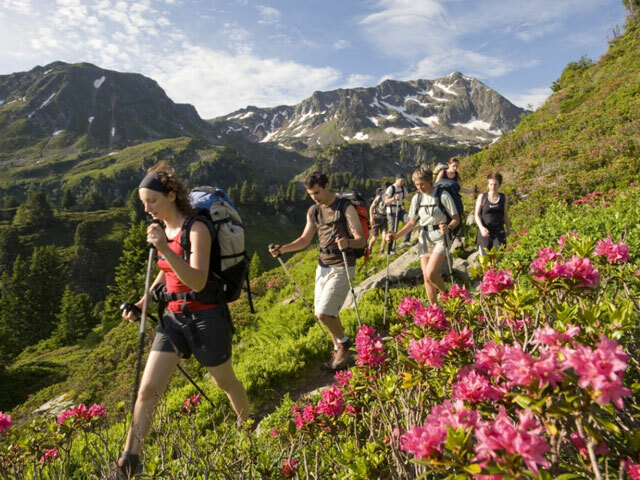 In winter ski and snowshoeing trips and in summer hiking in the many Alpine trails available. STAND UP PADDLE ANNECY. Lake Annecy offers an exceptional setting to practice Stand up paddle. You will enjoy an unforgettable moment on a calm lake surrounded by magnificent mountains. In winter, for the more courageous, you can participate in the Glagla Race! VIA FERRATA. 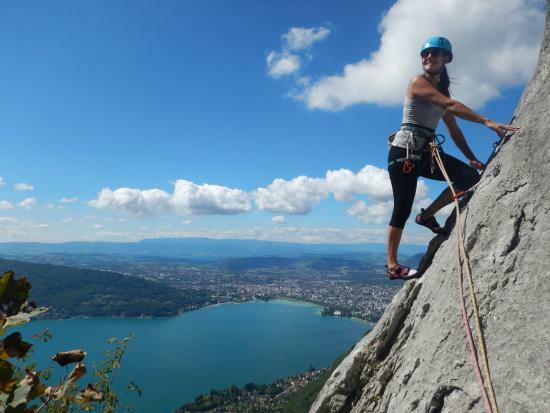 If you like thrills in an exceptional and very safe environment, come and try one of the many via ferrata located around Lake Annecy. This activity is accessible to all. RANDONNÉES PÉDESTRES. Annecy is steeped in nature between lake and mountains. It is therefore an absolutely fantastic backdrop for hiking. You will find hikes for all levels, from gentle pastures to the steepest slopes. And after a good hike, a swim in the lake to refresh yourself… Life is beautiful in Annecy! RAFTING. 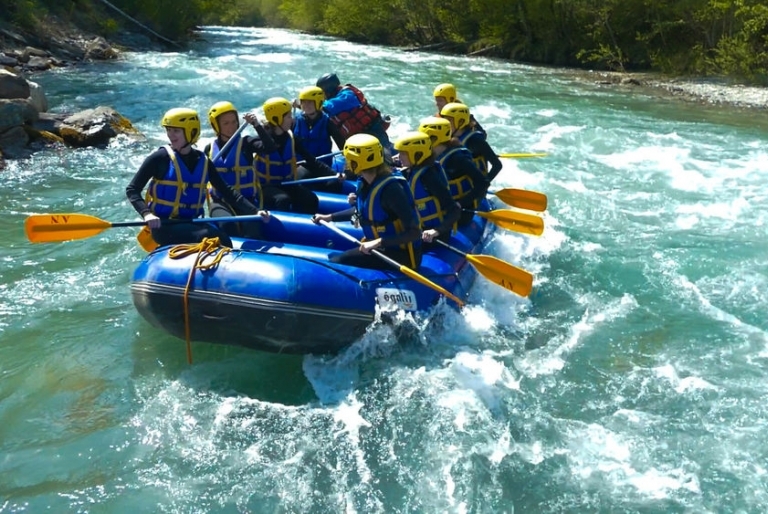 When there are mountains, there are rivers and when there are rivers, there are beautiful rafting opportunities! Go in a group and have an unforgettable time mixing both sport and laughter!